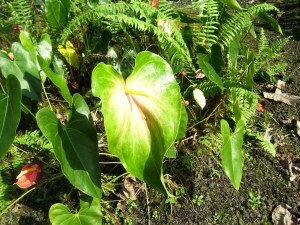 The story of the anthurium starts a long time ago in a land far from Hawaii. Anthurium plants first sprung up in the rainforests of South America. They lived there undisturbed for hundreds of centuries. Native peoples may or may not have made a big deal about them because they were much plainer looking than they are today. 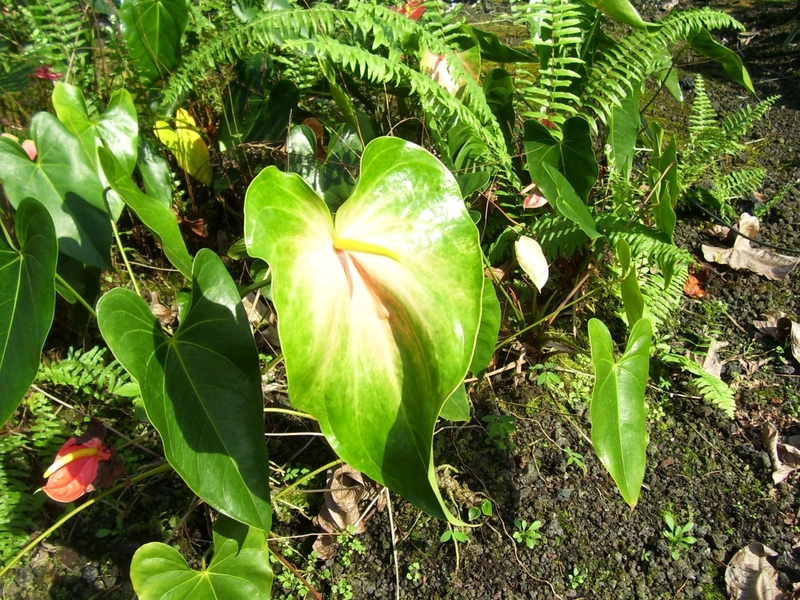 Out of the hundreds of species of anthurium, one was brought to Hawaii in 1889 by a man named Samuel Damon. Damon was an interesting man. The son of missionaries, he rose to great prominence in the Kingdom of Hawaii as a business man and as a politician. In fact, in 1924 he left an estate that was worth over $250M. This may not sound like much, but adjusted into today’s dollars this figure is well into the billions. Damon, or more likely his gardeners, grew the anthurium andreanum that he imported in the gardens of his mansion. From Damon’s gardens, these plants were introduced to other people who also started growing them in their gardens. These plants spread from garden to garden as people introduced them to friends. A big breakthrough occurred a few years later when people learned to propagate these plants by seeds, rather than cuttings. Seed propagation allowed people to selectively breed the flowers with the best traits and resulted in a proliferation of flowers in new shapes and colors. In the 1940s florists in Hawaii began carrying a smattering of these flowers in their shops. These flowers became quite popular with locals and tourists, alike. And an industry was born. Some people started expanding their cultivation of anthuriums from their gardens to full scale farms. Initially they grew these flowers under the shade of fruit trees and tree ferns, but as their operations grew, they began raising anthuriums under structures specifically built for raising these beautiful flowers. These days, anthurium flowers have become an international business. The invention of the airplane had a lot to do with this. Previously, most anthuriums were sold within the islands, but now, the airplane allows anthuriums to be shipped all over the world.